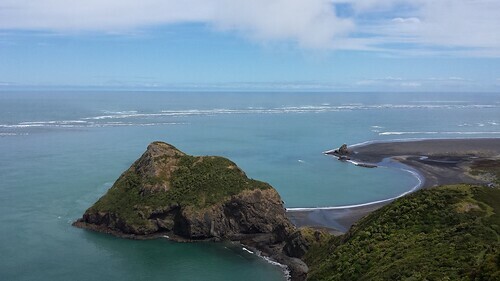 I have been doing quite a bit of hiking in the Waitakere Ranges over the past year and was recently asked what my favourite hikes were. Whatipu Road at top of Omanawanui Track --> Omanawanui Track --> Whatipu (Lunch on the beach) --> Kura Track (it is long and steep near the end). This is a very scenic track and there are some challenging portions. 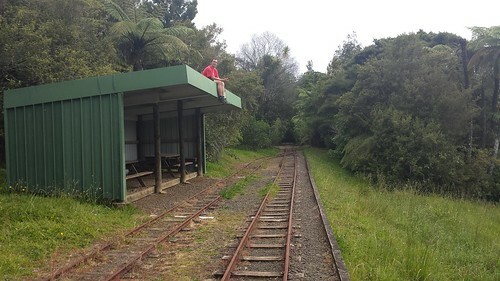 Scenic Drive --> Waitakere Reservoir --> Fence Line Track --> Long Road Track --> Upper Kauri Track --> Cascade Track --> Anderson Track --> Waitakere Tramline Track back to the Reservoir. This is a decent walk and from recollection took about 4 hours. 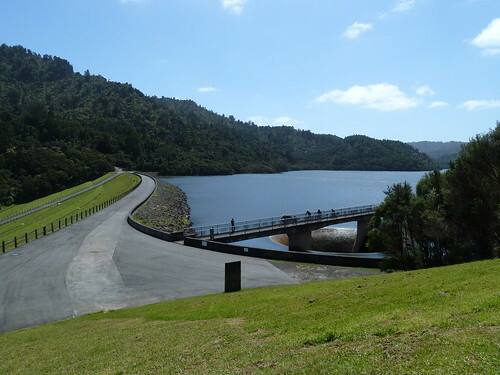 Arataki Vistor Centre (on Scenic Drive) --> Slip Track --> Pipeline Track --> Lower Nihotupu Dam Road --> Hamilton Track --> Huia Dam Road --> Huia Store for lunch and then the return trip. 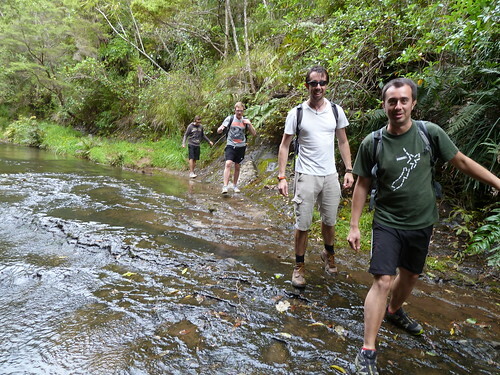 Constable Road --> Goldie Bush Walkway --> Mokoroa Falls Track and then back via the Mokora Stream Track (if you want a technically challenging walk that you _will_ get wet feet on. Piha Road --> Kauri Grove Track --> Kitakita Falls --> Kitekite Track --> Piha for lunch and then back by whatever mixture of tracks. Beach walk from Karekare to Whatipu (or Pararaha) and back. There is a small tunnel along the way you can go through too. Auckland City Walk in the Cascades portion of the Waitakere's is apparently a good introductory walk. I haven't done it. It is only 1.5km so is very short. 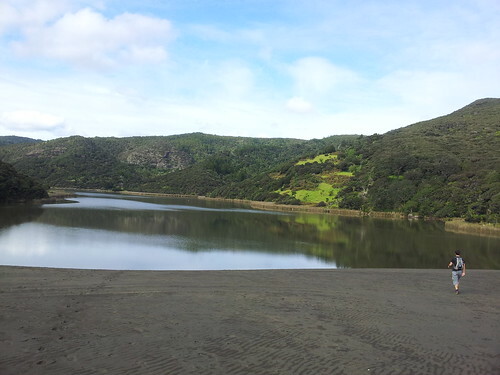 Walk around Lake Wainamu near Bethells Beach. 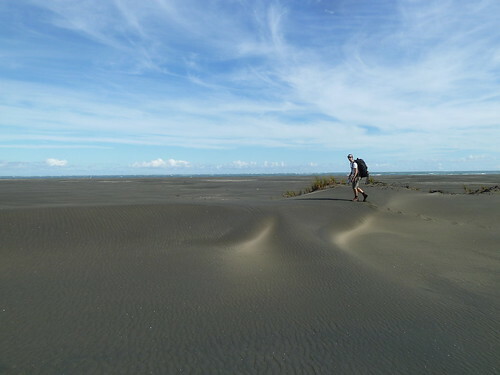 There are also huge dunes here. Don't attempt Houghton Gully Track (if you're after a flat track) since it goes up and up and feels like it will never end. The walk around the lake isn't huge.